The insurance company denied coverage, claiming that the plaintiff was not a “household member” under the insurance company’s policy. The plaintiff filed a lawsuit against the insurance company for breach of contract and to declare him eligible for coverage. 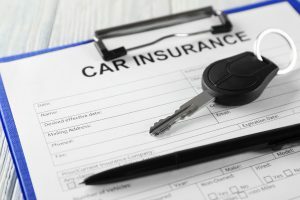 Under the policy, the underinsured motorist coverage covered any “household member.” The policy defined household member as “anyone living in your household who is related to you by blood, marriage, or adoption,” and included stepchild and foster children. The plaintiff argued that he was related by blood to the policyholders through his son, and was therefore covered under the policy. The court considered the ordinary meaning of the phrase “related by blood,” and stated that it generally means there is a genetic relationship between two people. It found that in this case, there was no genetic relationship between the plaintiff and the policyholders. Although the plaintiff maintained there was a blood relation through the plaintiff’s son, the court explained that the policy did not state that it covered someone “who is related by blood to someone you are related to by blood.” The court explained that the policy made clear that it included stepchildren and foster children, which would not have been necessary if they would have been covered under the general definition of a household member. Therefore, the court rejected the plaintiff’s interpretation, and found he was not covered under the policy. If you have been injured in a Massachusetts car accident that was caused by someone else’s carelessness, you may be entitled to monetary compensation for your damages. The Neumann Law Group represents victims and their families in work injuries, car accidents, slip-and-falls, product liability cases, and other general liability cases across Massachusetts. The dedicated Massachusetts personal injury lawyers at the Neumann Law Group have a track record of success and will do what it takes to obtain the most favorable result for their clients. Contact us at 617-918-7790 or through our online form. Winter Slip-and-Fall Accidents in Massachusetts Due to Snow or Ice Accumulations, Massachusetts Injury Lawyer Blog, January 14, 2019.